What is the best way to ensure that gun control takes place within a generation? Forget trying to change the minds of those who already have guns. The best way to do this is to encourage a culture of fear among young people. And the public school system, with all of its zero tolerance lunacy, is doing just that. They are setting the stage for tyranny. This morning, KIPP Ujima Village Academy and KIPP Harmony were placed in heightened security status, based on a report of a possible intruder. Police responded and secured the building, while police and school staff together ensured the safety of all children and staff. After a thorough investigation, police determined that there was no intruder in the building or on school grounds. As it turned out, the person carrying the tripod was a journalism student and the tripod was for his camera. However, a SWAT team descended on the school and children and parents alike were terrified after a 4 hour lockdown scenario. Critical thought is not encouraged. Panic is praised. Another incident recently occurred in Maryland when two people hunting ducks with a pellet gun caused terror on the campus of Stevenson University. 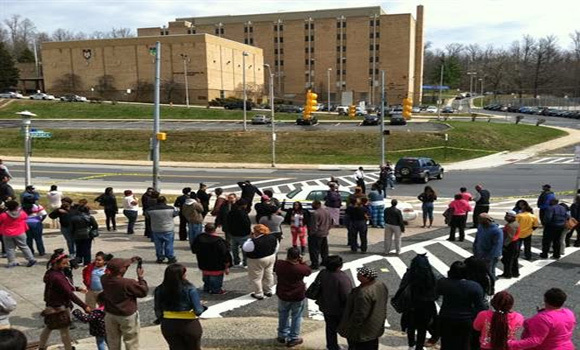 The Owings Mills campus was locked down for more than two hours Monday after someone reported a man with a gun. Investigators say two students hunting ducks with a pellet gun caused that incident. 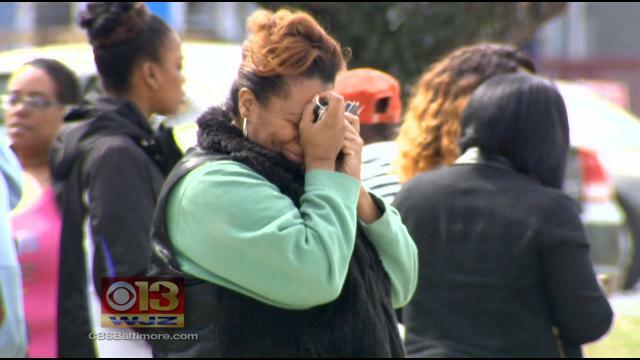 “The bottom line is that lockdowns save lives,” said security expert Rob Weinhold. The issue here is pretty clear. The younger generation is being taught that the very sight of a gun or anything that could be related to a gun is a reason for fear. That fear is cemented in the minds of children and parents when they are traumatized by the handling of the incidents. The fear is quite literally being implanted. When police refuse to tell people what is going on, when kids are rapidly evacuated, when cops in military-style SWAT gear swoop in – all of these dramatic scenes are not soon forgotten. When the dreaded “gun sighting” occurs in the future, the natural human response is to flash back to the last time that it happened. Instantly, the emotional response is overwhelming fear. When you read the following statements from those involved in the lockdown, keep in mind this incident was not triggered by a masked man with a machine gun firing in the hallways. This series of emotional responses began when someone saw a kid with a camera tripod. “They were really freaking out because the police were pushing you away so you didn’t know what was going on,” said Michelle Ward, parent. The school told parents to meet at Poly-Western. They quickly swarmed the parking lot and turned to each other for support. “My child is in there. I know he a nervous wreck,” one mother said. Tiffany Taylor has four children at KIPP Academy. “It’s really frightening to hear on the radio that something is going on at the school,” Taylor said. A large group of several hundred parents were on hand when police told the crowd all children were safe and would soon be bused to Poly to reunite with their families. “In my heart, I felt a little relieved but I still need to see my children and be reunited with them. It just won’t be over until I get them home,” Taylor said. Though it took some time and a lot of patience from parents, the buses started arriving and reunions got underway. Student Damaya Smith told us about her ordeal. For her parents, it was the perfect end to a long day. Make no mistake, this is deliberate. Those in charge are setting the stage for tyranny beyond our wildest dreams and they will never have to fire a shot. These kids will be begging the government to take away all of the guns and keep them “safe”. People that are this afraid of a tripod aren’t going to be leading the next revolution.